I would like to thank all the people who have toured with me over the years - without you it would never have worked! 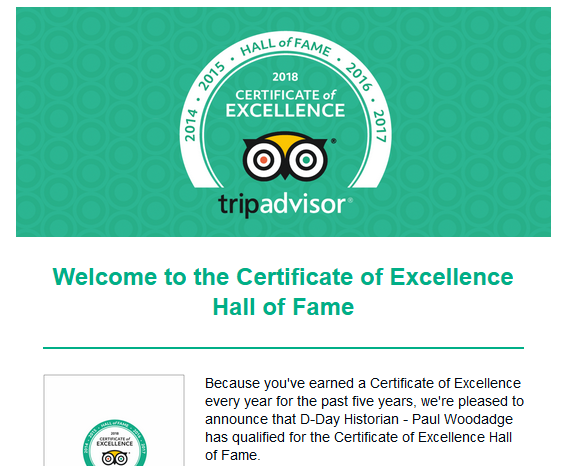 In May 2018 I was placed in the TripAdvisor Hall of Fame for receiving a Certificate of Excellence every year since 2013. Thank you to all my reviewers, it is because of you I have received this recognition. TV show Band of Brothers. This was at an event in Bastogne, Belgium in December 2016.